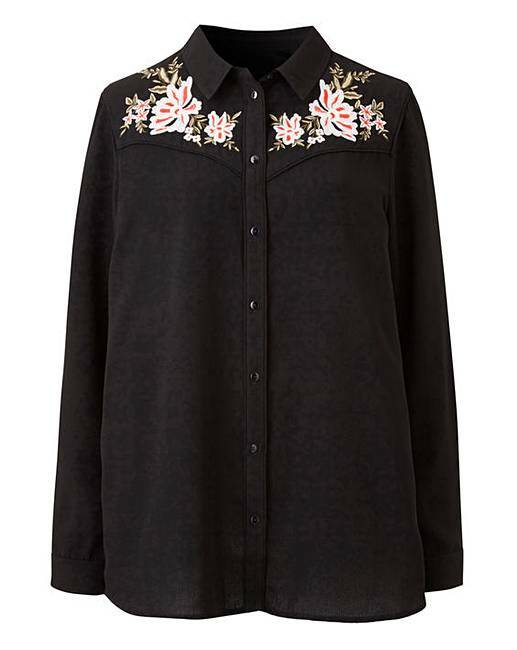 Black Western Embroidered Shirt is rated 5.0 out of 5 by 1. 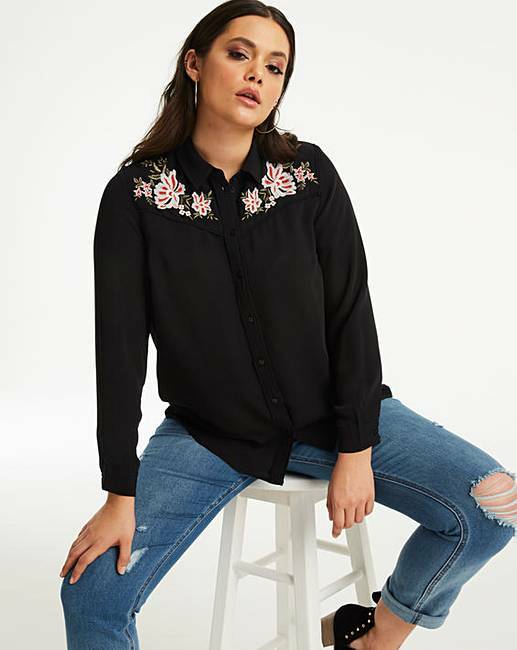 Look great in our western embroidered shirt. The shirt is fashioned from a super-soft fabric and features delicate embroidery detailing to the front. Featuring our ‘No Reveal' button, this garment has been expertly engineered to provide extra security to the bust and tummy areas. Removing the risk of gaping, this piece promises a smooth and flattering finish. 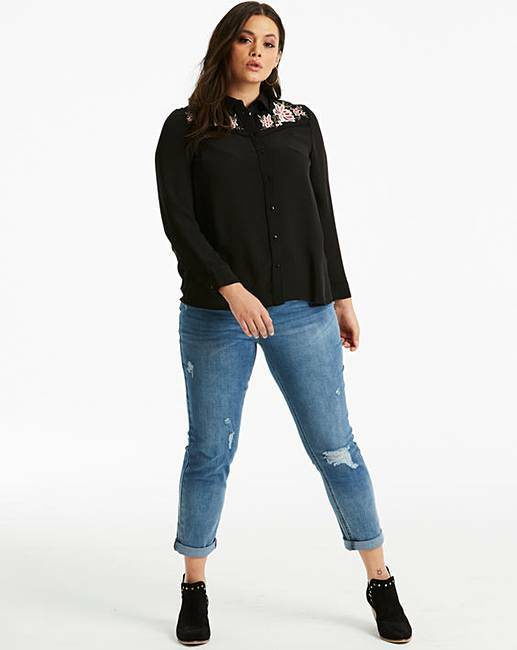 The shirt looks great with jeans and boots for the perfect daytime look.